Namaste: “The divine in me salutes the divine in you” Handprinted on Tibetan paper. 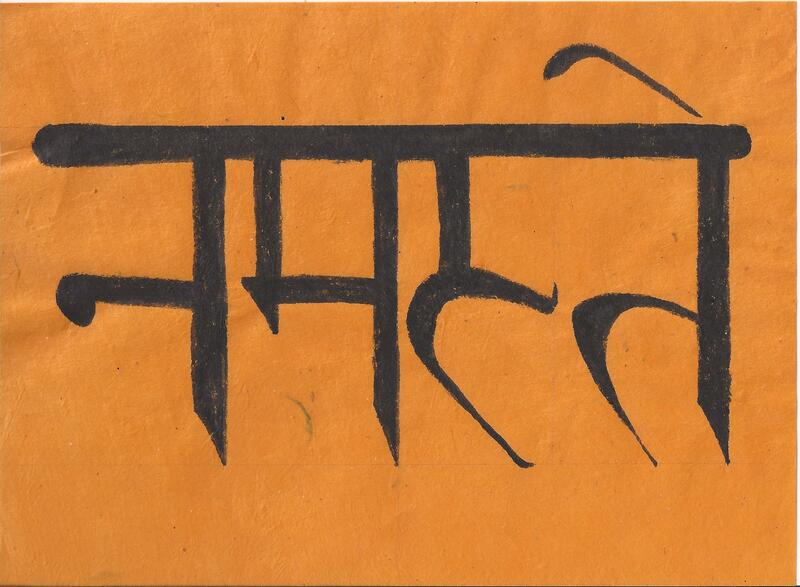 The sacred language of Sanskrit emotes the creative energy of the universe contained within it. This traditional greeting of India will touch the heart of any on whom it is bestowed. It will make a treasured gift or frame it and put it in your own home to show guests they are welcome. Each Sanskrit calligraph is hand done individually, and is therefore unique.